Note to self: Make sure you buy RED ROSES for Valentine’s Day! Q: Where do RED ROSES come from in mid-February? 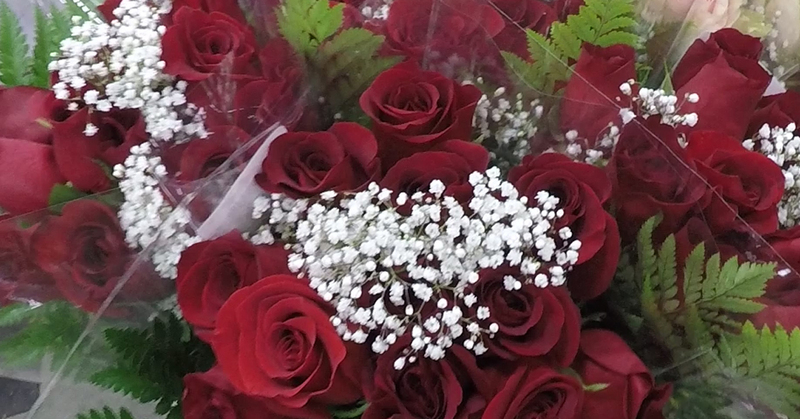 Most red roses sold for Valentine's Day in the U.S. are imported from South America despite the fact that California produces 60% of all American roses. However, during the Winter for the Valentine’s Day holiday, the United States buys more than 1 Billion roses each year, mainly imported from Columbia, Netherlands, and Ecuador. Approximately 110 million RED ROSES will be sold and delivered within the three-day Valentine's Day time period. Because American producers are unable to grow enough roses in time to meet the increase in demand, the United States must import the roses it needs for Valentine's Day sales. The red roses you buy in mid-February will be cut and packaged, and then flown from South America by fleets of 777 cargo airplanes, mostly arriving in Miami within hours, then distributed to wholesalers all across the United States. Once your red roses are cut in South America, they are immediately chilled to preserve freshness, and kept chilled up to the moment you take them out of the display case in the supermarket, or delivered by the florist. The entire processing cycle will be only few a days from the grower in South America, to the distributor in Miami, to your local florist delivering them to your doorstep. If you want to see how all of this works. Go to the largest floral expo and trade show the (IFE) International Floriculture Expo in Miami on June 18th – 20th . 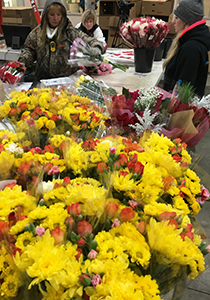 Everyone from floral buyers from supermarkets, chain stores, wholesale florist distributors, and online retailers will be attending. These people will make sure you have fresh red roses for next Valentine’s Day 2020! 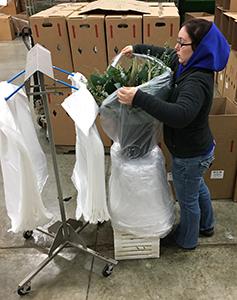 Plascon is your box liner specialist, including liners for fresh cut floral arrangements. Our liners protect the flowers during transit, and help to seal in the freshness, for the best end user experience. Your customers will notice the difference! Did we mention our liners also come in biodegradable options? We have many standard box liner sizes, and also offer custom sizing to meet your exact specifications. Contact us today to learn more about our line of products, and how we can help you maximize freshness and quality in all of your business ventures. In need of a Manual Bag Placement System to help expedite production? Check out our EasyLineTM stand! Complements production areas with smaller footprints to increase production by up to 50%.